One oft-criticised word that I do use now and then is gotten, though only in spoken English (never written). Sometimes no other word will fit nicely in a sentence. Usually it sounds a little unwieldy and slangy but sometimes it slots into a sentence like that missing piece of a puzzle. You often see people dismissing the word gotten as incorrest and lazy American slang. Which is, in fact, incorrect. Gotten is a relative to words such as ill-gotten, begotten, forgotten etc, and was in use in England in around the 4th century. Shakespeare himself used it, as did Bacon and Pope. Gotten slipped into disuse in Britain around 1700, but many British colonies continued to use it. Fall instead of autumn is another one of these words. 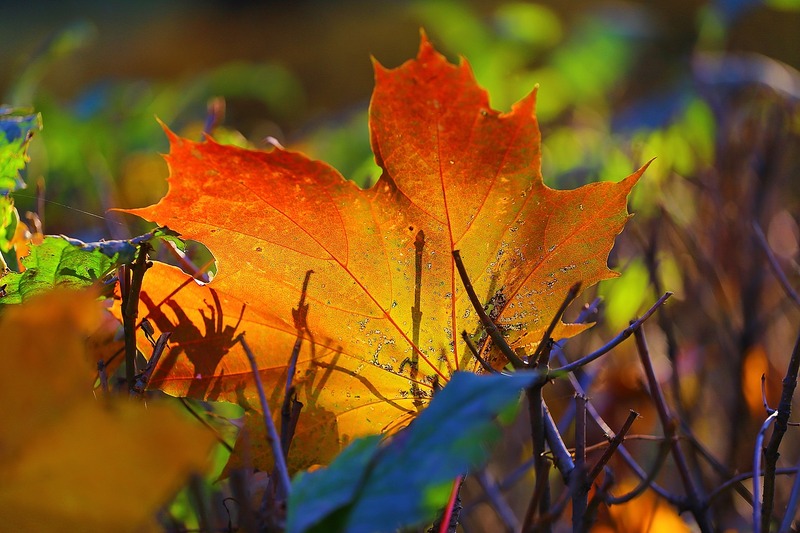 Many people believe that fall is American and autumn is British. Wrong. Fall (as in ‘the fall of the leaf’) is a British term from about 1450 to 1500, before American English even existed. Autumn came to English from French at more or less the same time but did not enter into common use for another 200 years, making the British term obsolete. Though some say more and more Brits are using the term fall instead of autumn these days, particularly in international publications. Automne in French has only been used from the XIII th century. It comes from the Latin word Automnus. Before that they used the word Gain to call the season of harvest.